MIAMI - April 10, 2019 – Telemundo’s "La Voz" (The Voice) comes to the most decisive moment of the competition when hosts Jacqueline Bracamontes and Jorge Bernal introduce the finalists from the teams of Coaches Luis Fonsi, Alejandra Guzman, Carlos Vives and Wisin who will take the stage and perform for the audience’s last chance to vote during the live semifinal this Sunday, April 14 at 8:30 pm/7:30c. 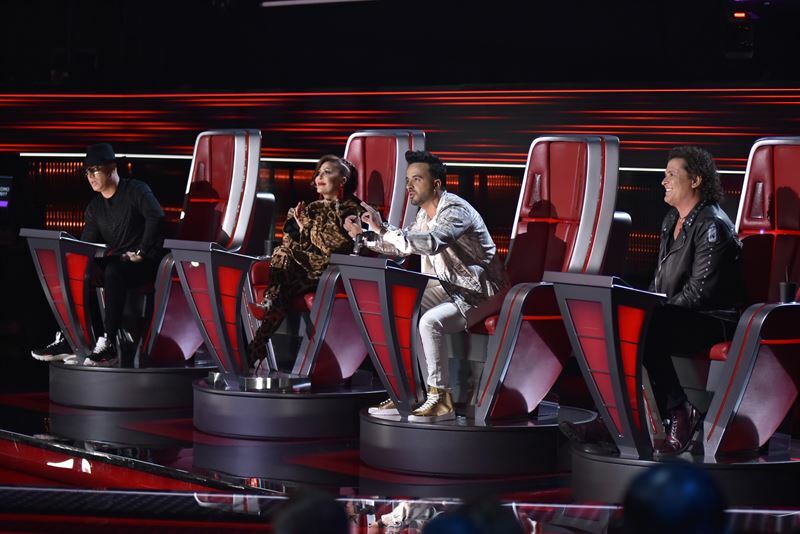 The viewers’ votes will determine who will be crowned the winner of the first ever Spanish-language edition of “La Voz” in the U.S. and receive the $100,000 cash prize and a recording contract for a single with Universal Music Group. “La Voz”, a production of Telemundo, Talpa Media USA, Inc. and Warner Horizon Unscripted & Alternative Television. The series is created by John de Mol, who serves as executive producer along with Cisco Suárez, EVP of Primetime Non-Scripted Programming at Telemundo, Stijn Bakkers and Tim van Rongen, Executive Producers for Talpa Media USA, and Macarena Moreno and Moira Noriega, Executive Producers for Telemundo.